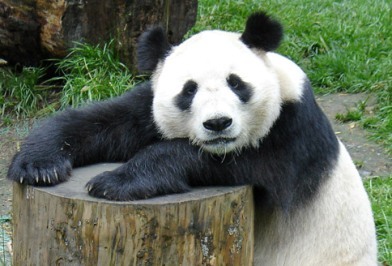 Relax, I’m not about to tell you one of those risque jokes about the panda with the sub-machine gun who walked into a bar. This is a serious posting (‘yeah, sure’, I hear you say). “What are bamboo shoots? – Bamboo shoots are a traditional component of Asian cuisine. 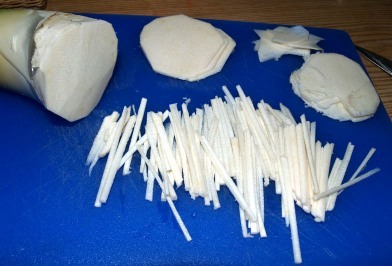 Fresh bamboo shoots are cut, the outer leaves are peeled away and any fibrous tissue at the base is trimmed. They are sourced from the underground stems of the bamboo plant. There are many species of bamboo, of which only a small number are used as food. 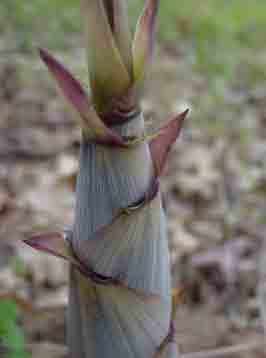 Where do bamboo shoots come from? – Most of the bamboo shoots imported into Australia and New Zealand come from China, Taiwan, Thailand and other South East Asian countries. Are raw or fresh bamboo shoots safe to eat? – Bamboo shoots are safe to eat providing that they are prepared properly. Fresh bamboo shoots that have not undergone any processing can be a potential public health and safety risk due to the presence of cyanogenic glycosides. This can lead to hydrogen cyanide exposure and its related toxicity. How do I make bamboo shoots safe to eat? – Fresh bamboo shoots should be sliced in half lengthwise, the outer leaves peeled away and any fibrous tissue at the base trimmed. It should then be thinly sliced into strips and boiled in lightly salted water for eight to ten minutes.